Royal Caribbean Cruises Ltd's quarterly profit beat analysts' average estimate as demand for its European and Chinese cruises increased and passengers spent more on board, helping it raise its full-year profit forecast. Shares of the world's second-largest cruise operator rose as much as 9.1 percent to a life-high of $61.35. European cruises account for 22 percent of the capacity in the company, whose cruise lines include Royal Caribbean International, Celebrity Cruises and Azamara Club Cruise. The company raised its full-year earnings forecast to $3.40-$3.50 per share, from $3.25-$3.45. Royal Caribbean, which in April warned of pricing pressure in its biggest market, the Caribbean, said the environment in the region remained "promotional". The promotional environment is said to be led by Europe-based MSC Cruises, which is offering seven-night Caribbean cruises for as low as $199. Larger rival Carnival Corp last month forecast an adjusted profit below market estimates for the current quarter, blaming increased competition in the Caribbean. 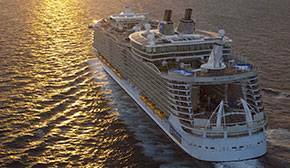 Royal Caribbean and Carnival have been bogged down for two years by a series of adverse events such as virus outbreaks and engine fires. Royal Caribbean is set to launch its ship, Quantum of the Seas, which features simulated skydiving, bumper cars and roller skating. 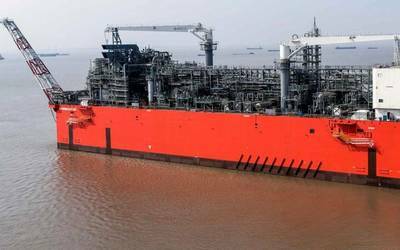 The ship, poised to make its debut in November, is already seeing "extremely strong bookings", Chief Executive Richard Fain told Reuters. "I don't think we've ever had a new ship where the early bookings have been so powerful," he said. Royal Caribbean would also double its capacity in China from about 6 percent, Fain said. "They're extremely confident in their numbers and this is minimal risk. They're going to get a strong return, there's no doubt about it," industry analyst Stewart Chiron said about the company's expansion plans in China. Royal Caribbean said net yields, which include ticket sales and spending on board, rose 2.6 percent in the second quarter ended June 30, excluding the impact of currency fluctuations. The company's net income rose to $137.7 million, or 62 cents per share, more than five times the $24.7 million, or 11 cents per share, it reported a year earlier. Excluding items, the company earned 66 cents per share. Total revenue rose 5 percent to $1.98 billion. Analysts on average had expected earnings of 52 cents per share on revenue of $1.99 billion, according to Thomson Reuters I/B/E/S. Royal Caribbean shares were up 8.3 percent at $60.91 on the New York Stock Exchange in afternoon trading.